Glam Gurru: Review: The Body Shop "Winter Must Haves"
Review: The Body Shop "Winter Must Haves"
Lets be good to our skin in chilly weather,and don't make it look rough and dry. 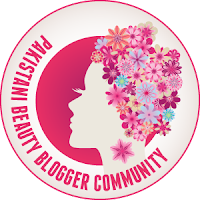 We all need extra pampering in winters this is the reason why I am here to share my most favorite TBS winter must haves. I love products made of fruits extracts and The Body Shop masters the art of creating such lovable products that are good for skin. This body butter is deliciously good for skin, I got my hands on it when it hit the counters in September. Honestly TBS formulas are always amazing and they never fail to impress. The texture of this body butter is thick yet light and it penetrates in the skin nicely without making it feel sticky. This product is excellent for people whose skin gets too dry in winter trust me it completely hydrates the skin making it soft and smooth. I am so in love with the fruity peach scent! I religiously use body butter after taking shower, and its part of my daily routine. Nobody likes chapped lips specially in winters they are irritatingly painful. TBS lip Balms have always been my best buddy my two favorites are Strawberry and Guava they are so yum I love the scent and the flavor of TBS lip balms hope they are edible =D After brushing my teeth in the morning I brush my lips lightly to exfoliate dead skin cells later I apply this balm and trust me I feel so good and fresh. Taking care of lips is so important because the skin is delicate and requires extra care in winters. If you live in a cold environment these two products are life saviors. PS "All opinions are my own, this isn't a paid review"